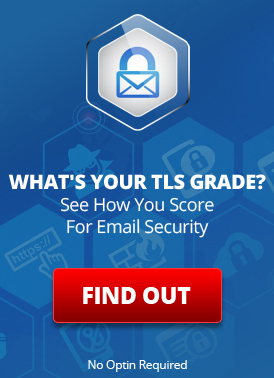 McAfee has been LuxSci’s partner for premium email filtering and email archival services, well, since these services were owned by McAfee-acquired MXLogic and MXLogic first started setting up partner relationships. A long time. In late 2015, McAfee announced that it was ending its email filtering and archival service offerings, effective January 11th, 2017. They gave everyone about 1 year to find alternatives and move away before the plug is pulled. Over the past year, LuxSci has been working long hours migrating its 1000s of customers from McAfee to these new services. All customers who were previously using McAfee have migration-related support tickets with detailed information and instructions on the process. A majority of customers are all set — their migrations are complete. Once those changes are complete, email will be flowing through Proofpoint instead of McAfee and your email filtering migration can be marked completed by LuxSci. LuxSci is in the process of calling every one of these customers, as well as leaving support ticket email updates for them so we can get their attention. All the information for these steps can be found in existing support ticket and emails that have been sent to these customers. Customers must make this change as of January 11th 2017, when McAfee pulls the “kill switch.” At that time, any email still flowing to McAfee will start bouncing back to the senders. The migration steps can still be completed after this deadline; however, messages that have bounced will be unrecoverable. If you are affected (or if you are unsure if you are affected) and you are unsure what to do or have questions: please contact LuxSci support. We are here trying to ensure that everyone has as sooth a transition as possible. We have previously discussed the migration to Sonian, compared Sonian to McAfee, and gone over all other significant differences in this post: Migration Plan for Old Customers. Customers do not have to do anything with respect to the migration of email archival. LuxSci is finishing up routing the email of all email archival customers to their new Sonian accounts. Once the Sonian accounts are up and email is flowing, customers are being informed of their new Sonian archival logins via support tickets. Exporting all email from McAfee (the deadline for this is July 11th, 2017). Importing this email manually into each customer’s new Sonian account. This is quite a manual process and a lot of data and will take a long time. Customers will still have access to their old McAfee account logins during this time if they need to search and/or download email that was archived with McAfee. Once the email has been exported and imported into Sonian, LuxSci will be closing down these McAfee archival accounts. There is no charge for holding these archival accounts open while the migration is completed. Email Backup or Archival? What’s the Difference? This entry was posted on Friday, December 9th, 2016 at 12:33 pm	and is filed under LuxSci Insider. You can skip to the end and leave a response. Pinging is currently not allowed.